We are engaged in offering an extensive range of News Paper Inserts to our clients. 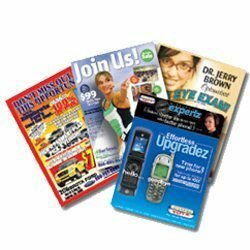 News Paper Inserts are printed promotional enclosures in a newspaper, which is an excellent way for promoting the business of any organization very easily and cost-effectively. We print these inserts using high-quality colors, paper and other material to ensure the quality of the end products. We have emerged as a reckoned name in the field of offering unmatched Designing and Printing Service to our reputed clients. Our organization has gained appreciation for its fine quality printing delivered according to the client's needs.